This book was good enough to warrant reading (listening to) additional books by the author. It was enjoyable, with quite a few twists and turns all the way to the end. 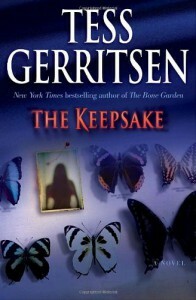 Even though I noticed that it is the 7th book in a series, I was able to understand the relationships and get into the story, much as I did with Sue Grafton's alphabet series (which I went back and read in order after having read "F"). The main draw in the description was archaeology and mummies. It wasn't quite what I expected, but was good nonetheless. This was an audible.com purchase. 5/24/2011-Much better having read it in order because I understood a lot more of the context of some of the side stories.